The Winn Feline Foundation awarded $127,411 in grants for projects aimed at improving feline health. The Winn Feline Foundation awarded $127,411 in grants for projects aimed at improving feline health. Out of the 36 proposals the foundation received for 2009, 12 were selected. One project sets out to determine whether a commercially produced raw food diet and a homemade raw diet is nutritionally adequate for feeding kittens and whether these diets enhance immune function and improve digestibility. The outcomes to be measured include growth rate, feed efficiency, digestibility and various blood and immune status parameters. The long-term goal is to evaluate ways of improving feline immune function through diet, according to University of Tennessee researchers Beth Hamper, DVM; Claudia Kirk, DVM, Ph.D., Dipl. ACVN, Dipl. ACVIM; and Joseph Bartges, DVM, Ph.D., Dipl. ACVN, Dipl. ACVIM. "Nutritional Adequacy and Performance of Raw Food Diets in Kittens" was awarded $14,878. Another project aims to discover a measurable component of a hyperthyroid cat?s urine that is associated with hidden kidney failure. To do this, Kansas State University researchers will apply mass spectrometry, a technique they say is capable of identifying thousands of urine components. The long-term goal is to devise a test to accurately assess the presence of hidden kidney problems in hyperthyroid cats before treatment is undertaken, thus maximizing the chances for a successful outcome, according to Researchers Thomas Schermerhorn, VMD, Dipl. ACVIM; Gary Gadbury, Ph.D.; Ruth Welti, Ph.D.; and Richard Jeannotte, Ph.D.
"Identification of a Biomarker for Masked Renal Failure in Hyperthyroid Cats" was awarded $15,000. "Determining Genetic Correlates of FIP Susceptibility," by Jacqueline Norris, BVSc, Ph.D.; Steven Holloway, BVSc, Dipl. ACVIM, Ph.D.; and Craig McLure, BSc, Ph.D., from the University of Sydney, Australia. The project was awarded $12,240. "Feline Hypertrophic Cardiomyopathy: Five-Year Outcomes and Risk Assessment," by Philip Fox, DVM, Dipl. ACVIM, Dipl. ECVIM, Dipl. ACVECC, from The Animal Medical Center in New York. The project was awarded $14,050. "Linkage Disequilibrium in the Domestic Cat and its Breeds," by Leslie Lyons, Ph.D., from the University of California, Davis. The project was awarded $15,000. "The Incretin Effect: A Potential Role for GLP-1 Analogues in the Treatment of Feline Diabetes," by Chen Gilor, DVM, Dipl. ACVIM, and Thomas Graves, DVM, Ph.D., Dipl. ACVIM, from the University of Illinois. The project was awarded $12,638. "Prevalence, Identity and Antimicrobial Susceptibility of Enteroadherent Enterococcus spp. Infection in Kittens With and Without Diarrhea—A New Pathogen?" by Jody Gookin, DVM, Ph.D., from North Carolina State University. The project was awarded $14,918. "Cyclosporine Blood Levels After Subcutaneous Administration in Cats," by Sandra Diaz, DVM; David Panciera, DVM, Dipl. ACVIM; and James Blair Meldrum, DVM, Ph.D., from Virginia-Maryland Regional College of Veterinary Medicine. The project was awarded $5,947. "PCR Amplification and Sequence Analysis of Exon 9 and Exon 12 of the c-KIT Gene in Feline Soft Tissue Fibrosarcomas," by Amanda Smith, Bradley Njaa, DVM, Dipl. ACVP, and Catherine Lamm, DVM, Dipl. ACVP, from Oklahoma State University. The project was awarded $1,932. "Investigation of Myxoma Virus as an Oncolytic Agent in Feline Cancer Cell Cultures," by Amy MacNeill, DVM, Ph.D., Dipl. ACVP, from the University of Illinois. The project was awarded $15,000. "Molecular Pathology of Feline Oral Squamous Cell Carcinomas," by Susan LaRue, DVM, Ph.D., Dipl. ACVS, Dipl. ACVR, and E.J. Ehrhart, DVM, Ph.D., from Colorado State University. The project was awarded $5,808. 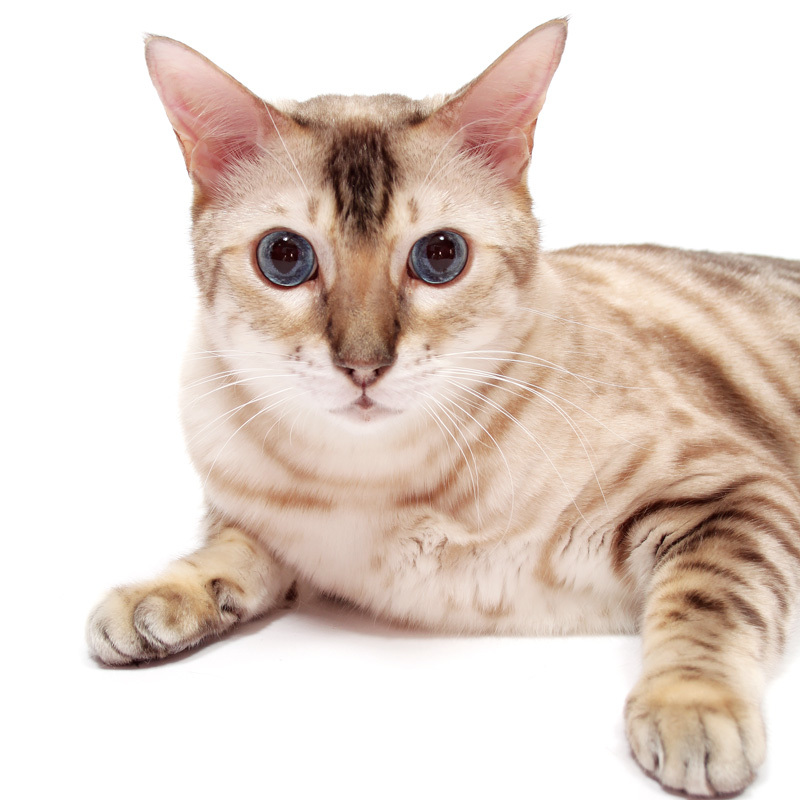 "SNP Analysis in Rapidly Progressing Feline Autosomal Dominant Polycystic Kidney Disease," by Robert Grahn, Ph.D., from the University of California, Davis. The project was approved for $13,557. Click here for more details or to sponsor a project.